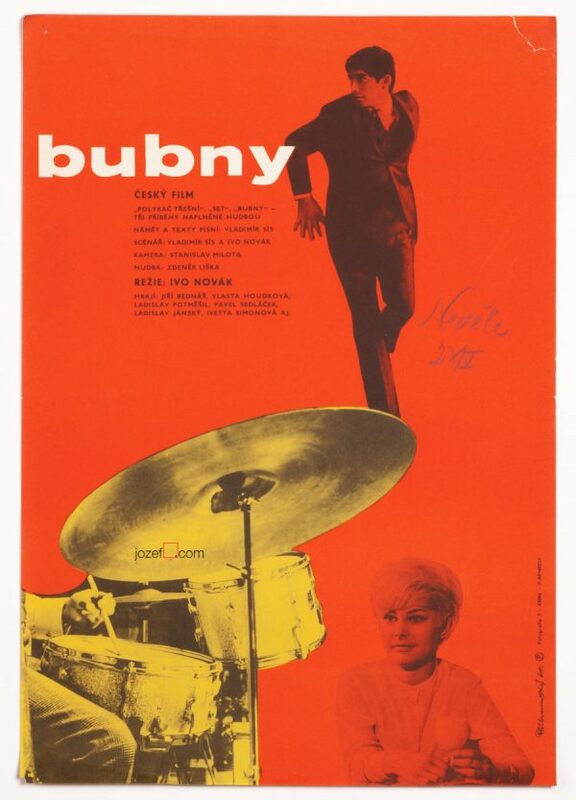 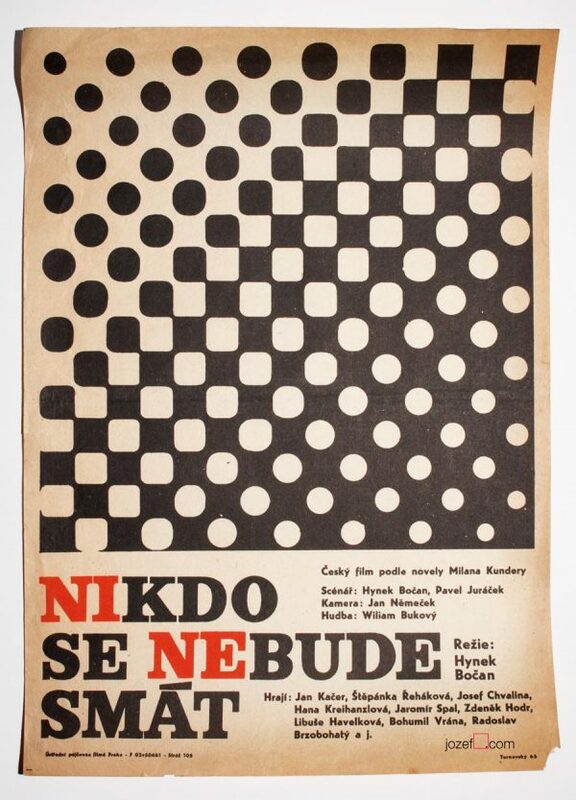 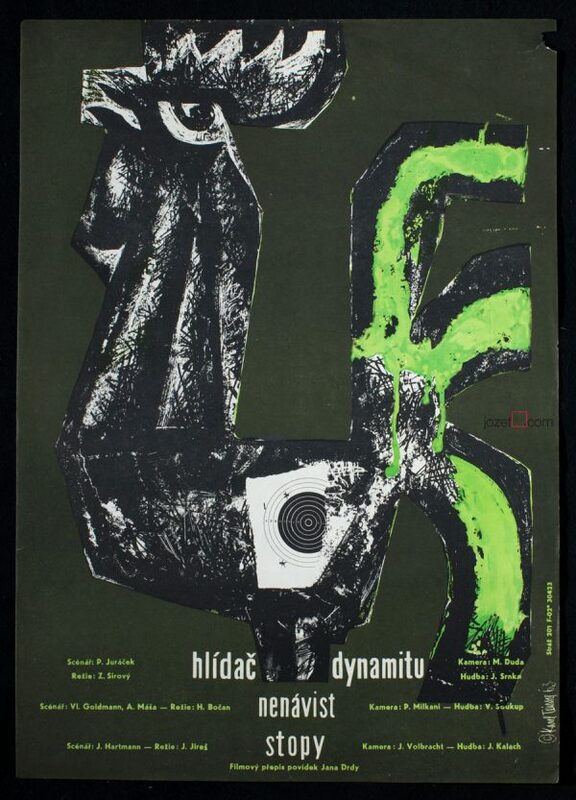 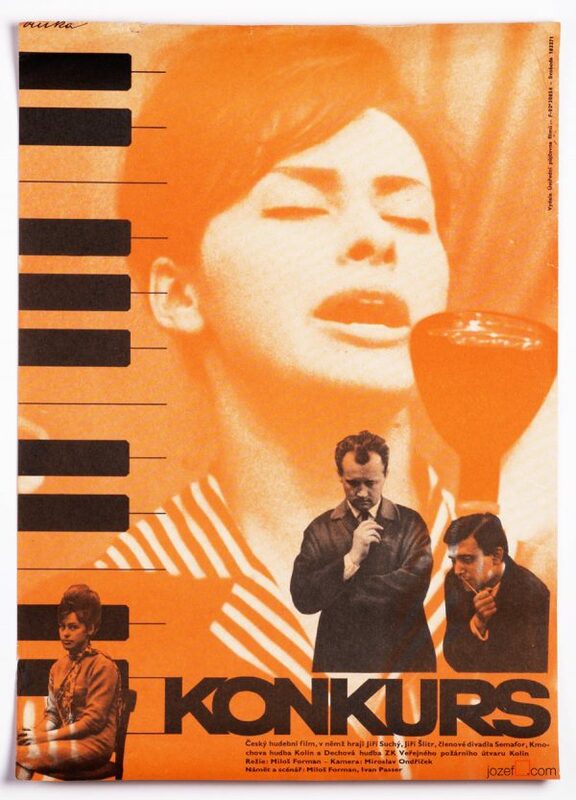 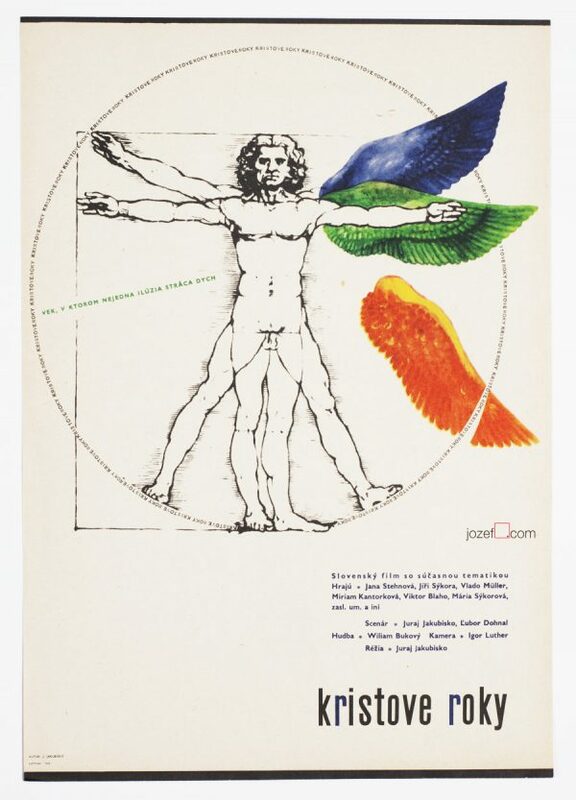 Film posters designed for the young revolutionary group of film directors coming out from Sixties. 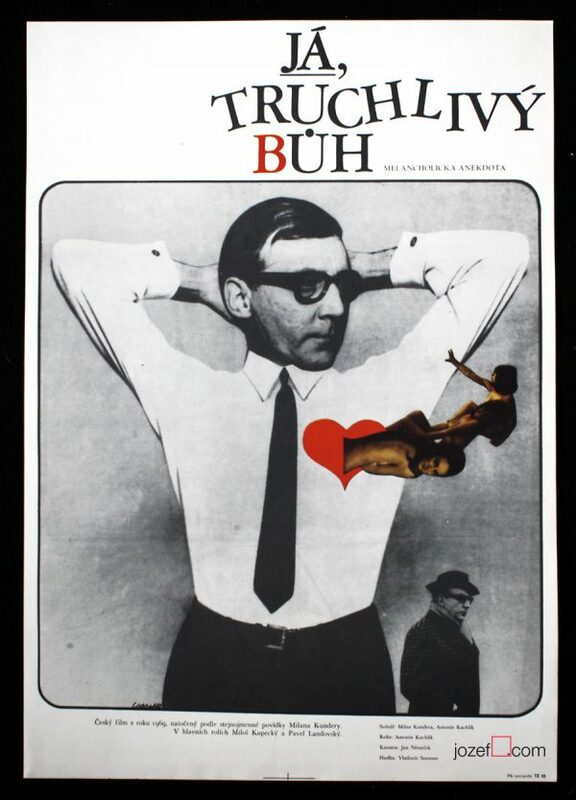 Usually fresh graduates from Prague Film Faculty (FAMU), responsible for miracles in Czechoslovak Cinema. 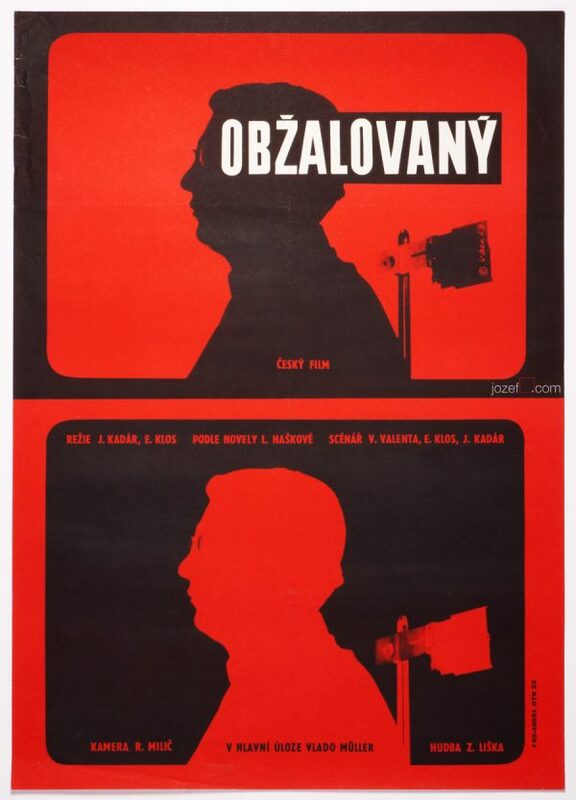 Majority of their films were banned all the way to the fall of communism. 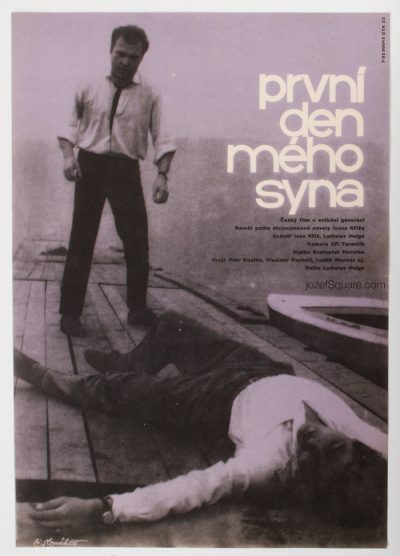 In many cases their activity was completely stopped, some of them emigrated (Miloš Forman, Jan Němec). 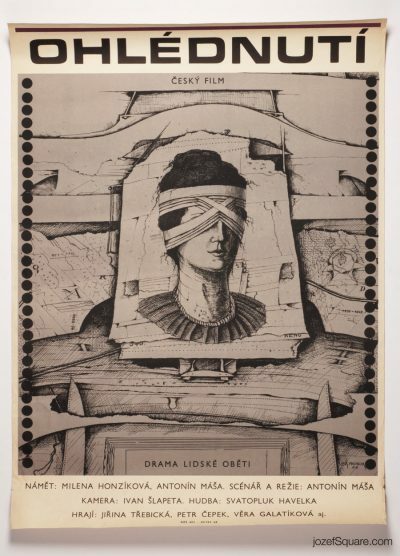 Very similar destiny was following the film poster and its creators. 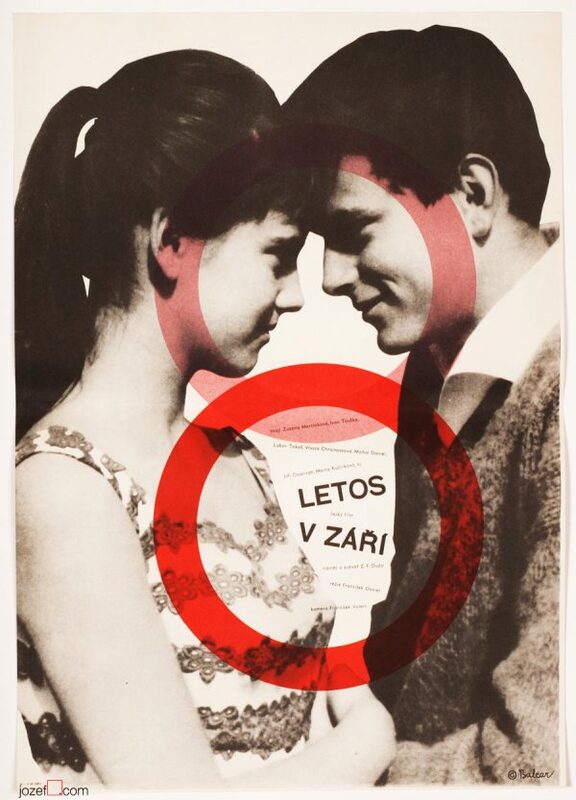 Several representatives of Czechoslovak New Wave Cinema are: Věra Chytilová, Dušan Hanák, Elo Havetta, Juraj Herz, Juraj Jakubisko, Vojtěch Jasný, Jaromil Jireš, Pavel Juráček, Antonín Kachlík, Ján Kadár, Karel Kachyňa, Elmar Klos, Jiří Menzel, Jaroslav Papoušek, Ivan Passer, Evald Schorm, Štefan Uher, Věra Vihanová, Otakar Vávra, František Vláčil.